A cereal crop primarily grown for its edible seeds, quinoa is a highly popular food source in America, Canada, China, and Europe. Quinoa is most commonly used as a rice substitute and is also ground up into powder or flower flour to create bread, cereal flakes, and chips. Quinoa is loaded with protein, fiber, folate, vital amino acids, vitamin B, thiamin, manganese, magnesium, phosphorus, and copper. The health benefits of this nutritional wonder food include preventing gallstones, regulating digestion, protecting organ health, maintaining blood glucose and cholesterol levels, and managing weight. 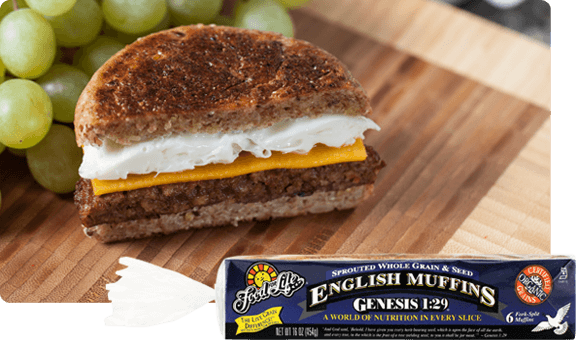 Food For Life was the first to manufacture gluten free breads and Genesis 1:29 products using organic sprouted quinoa.